I read the first few books in this beloved historical series years ago, when I was a teenager, and as it's been quite a long time, I thought I'd go back to the beginning before continuing with the Amelia Peabody books. I've heard such great things about the audio book productions, so I checked this one out from my library and gave it a listen. It was great fun! The story opens in England in the late 19th century, as "spinster" Amelia Peabody inherits the bulk of her wealthy father's estate. She is immediately beset with suitors, but she ignores them all, knowing full well they're after her money, and sets out to travel to ancient historical sites around the world. She has always shared her father's avid interest in archaeology, and she longs to see in person all the things she's read about. The woman she's been traveling with becomes ill in Italy, and through a stroke of good fortune, Amelia acquires the perfect traveling companion, an intelligent young woman named Evelyn, who is in a difficult situation. Together, the two women head to Egypt, where they make the acquaintance of two archaeologist brothers. 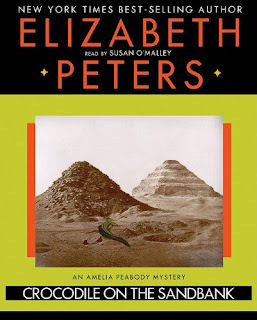 After travelling down the Nile, the two women eventually find themselves at an archaeological dig, where they become involved in an intriguing mystery involving the nighttime apparition of a mummy in the ruins. The plot is fairly straightforward and a bit predictable, but it is the interaction among the characters that brings this exciting historical mystery to life. Amelia is an independent, strong, and very stubborn woman, definitely not one to shy away from confrontation, whose caustic comments and observations are often hilarious. This is one of the series that I regularly recommend to teens who are transitioning from YA fiction to novels written for adults. In fact, I read it as a young teen, and I have to say I found it pretty funny to compare my youthful experience with my current, not-so-youthful experience with this book. It follows a fairly typical romance plotline - you know, where the protagonist and the romantic interest bicker and argue, but eventually must admit their mutual attraction for each other? I clearly remember being absolutely as flabbergasted as Peabody by the romantic developments in the book. I had to laugh at my younger self this time around. 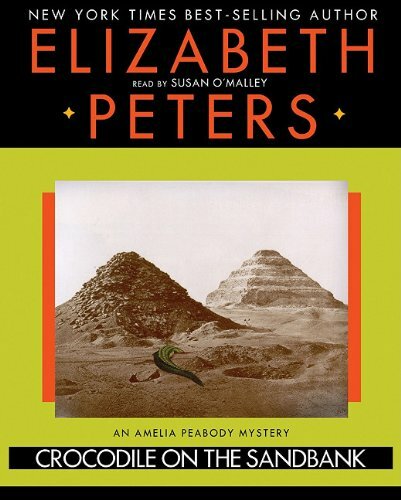 At any rate, I thoroughly enjoyed rereading this first book in the entertaining Amelia Peabody series, and Barbara Rosenblatt's narration was delightful. I will continue with the audio versions, and I'm looking forward to making my way through the happily many books that await. Age 30+: A Lifetime of Books: "I loved the main character; Amelia’s sharp tongue and brusque manner are fabulous, as are her interactions with the other characters (especially Emerson)." Angieville: "This is a light and witty Victorian adventure mystery and it made me laugh several times. I have hopes for the rest of the series and will definitely be picking up the second book in the near future." Things Mean a Lot: "Peabody is clearly written in the tradition of the women travellers and science pioneers of the Victorian and Edwardian periods, women about whom I’d love to read more." I adore this book! I've never read the sequels (I think I tried the second one years ago but couldn't get into it at the time), but I think it's time to look at them. I had no idea there were so many in the series. This is yet another series I need to give a go. It is in my sights. I need to continue with this series! I had such fun with the first two books. Hmm, this reminds me that I've got the first three discs of The Mummy Case lying around somewhere... looking forward to going back to Victorian Egypt! K.C. - There are a lot in the series, aren't there? One reason that I went back to this series is seeing how excited customers at my library are whenever a new one comes out. I'll be interested to hear what you think if you continue with it. Janicu - Glad you got a laugh out of teen me! Hope you like it when you get around to trying it. 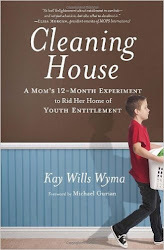 Nymeth - I bet these books would be a nice break from library school reading. I swear, I couldn't bring myself to read a nonfiction book for about a year after I finished up! Jenny - Sounds like a fun camping trip! 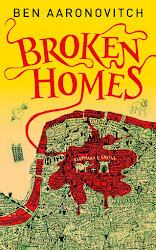 It's fun when books are shared and loved by family members - I'm starting to enjoy that now with my kids, who are reading books that I have loved (and could never imagine them being old enough to read, but they are now!). Kiirstin - They sure are fun to listen to, aren't they?! I've been meaning to read this series for a while now and am glad that you give it your endorsement as well! I've ordered it at my library! Celesta - Oh, I hope you enjoy it! I think it's a lot of fun, and from what everyone says, the series keeps getting better and better. I hope you'll let me know what you think! Ms. Yingling - Mrs. Polifax! Oh, I used to love those - and now that you mention it, I remember reading them at about the same time I read this. I'll be interested in hearing your thoughts on rereading them. heard lots about this one! must get to reading it one day! Sharry - When you're in the mood for a light historical mystery with a touch of humor and romance, pick this one up! I am stopping by really late to say how much I love this series, especially some of the later books in the series! And I loved Barbara Rosenblat's narration! I can still hear her voice in my head, especially Emerson cursing! Marg - I'm glad to hear you say you love the later books in this series, because it's a long one, and sometimes they don't sustain interest all the way through. Rosenblat does do a wonderful Emerson, doesn't she? !